at the Rippon Lea House & Gardens in Elsternwick, Victoria, Australia. 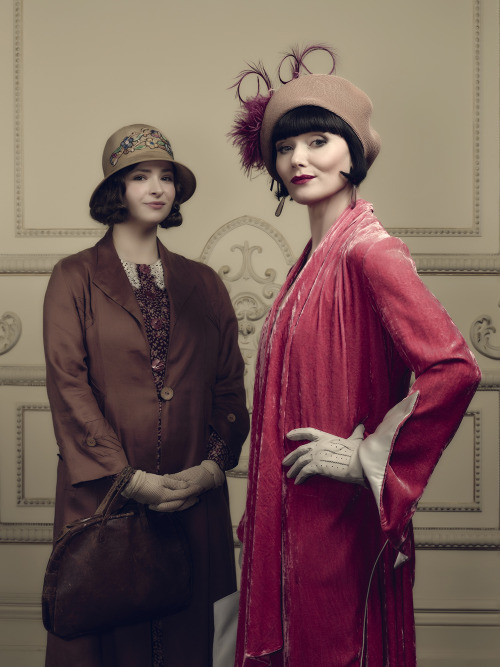 opening on November 16 and running through Valentine's Day 2016.
from all over the world to create the stunning ensembles worn on the show. Feisty Miss Fisher is the creation of Australian author, Kerry Greenwood. 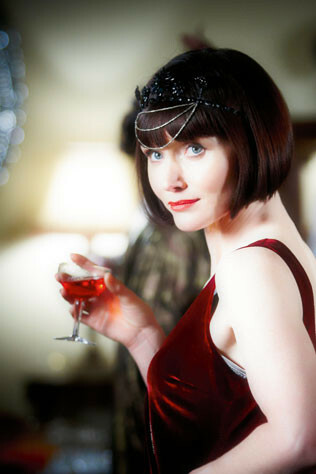 “Phryne is a hero, just like James Bond, but with fewer product endorsements and a better class of lovers,” says Greenwood. 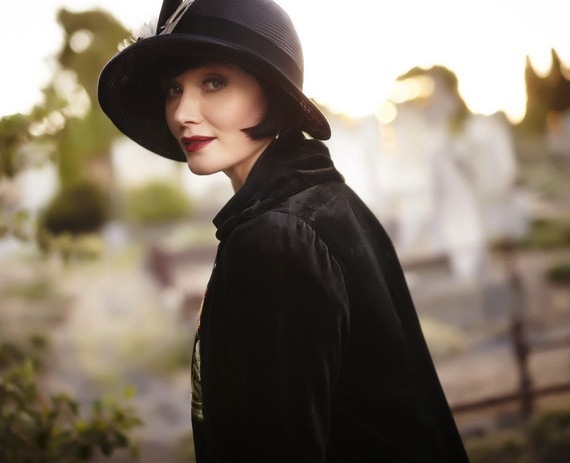 “I decided to try a female hero and made her as free as a male hero, to see what she would do... 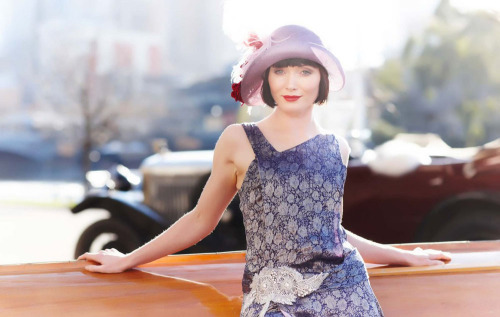 In every sense of the word, Miss Fisher complements Detective Inspector Robinson’s by-the-book police procedures, using her endless charm and daring wit to get the information she needs." 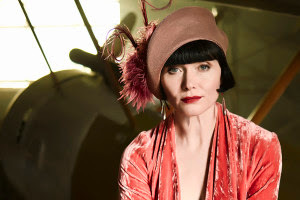 Needless to say, Phryne is always the one to solve the crime, with the help of her able personal assistant/ward Dot Williams, who's not nearly as timid as she looks. 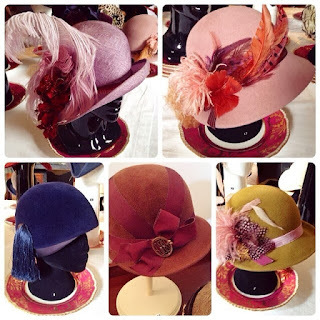 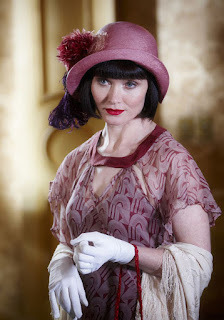 Sherlock Holmes has nothing on Phryne, hats-wise or otherwise! 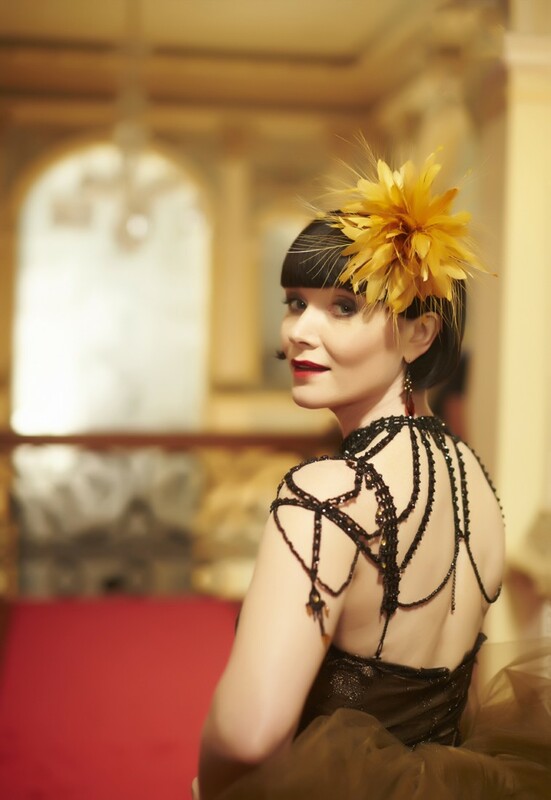 The Honourable Phryne Fisher of course keeps daggers in her stockings. 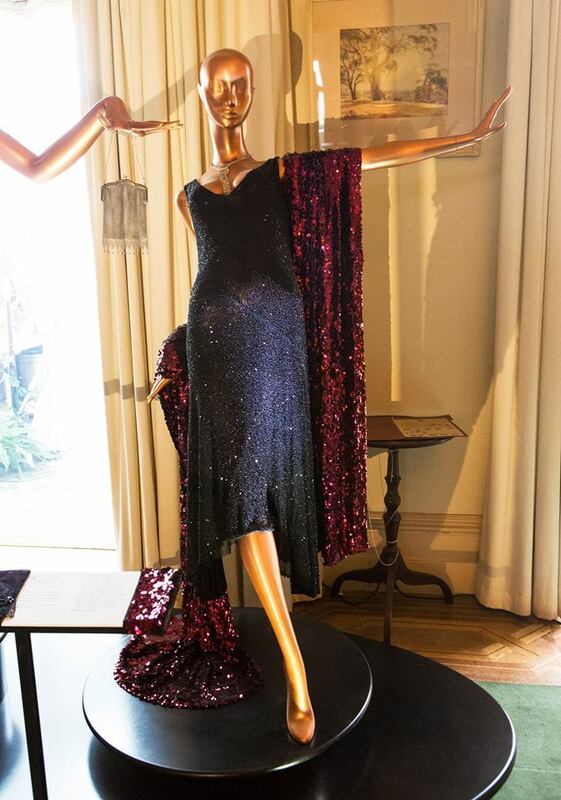 To visit the exhibition's website, link here.